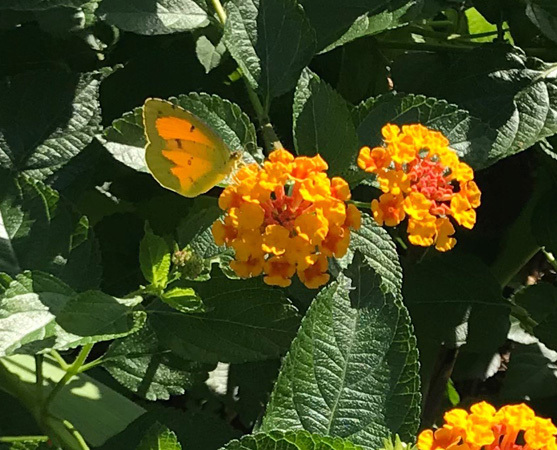 Butterflies have been in short supply around North Carolina this summer, but activity is starting to pick up. 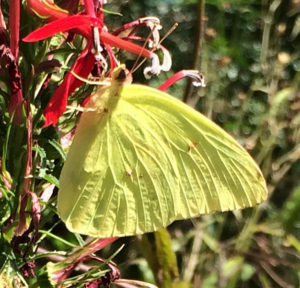 The Sulfurs – medium-sized yellow butterflies – are especially active right now. Senna is the sulfur host plant. If you’re over at Shamrock, check out our senna plants for eggs. They look like tiny white footballs. Also look for caterpillars. They’re small and green. Leaves with holes provide a clue. But the caterpillars themselves are tough to spot. 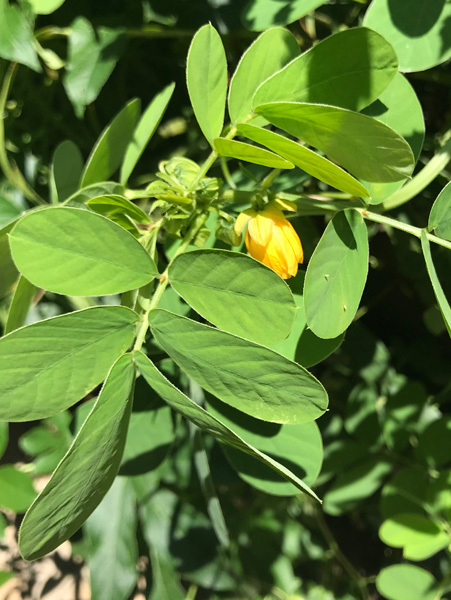 The other day I found a caterpillar on a senna plant, and was so excited I took a picture. 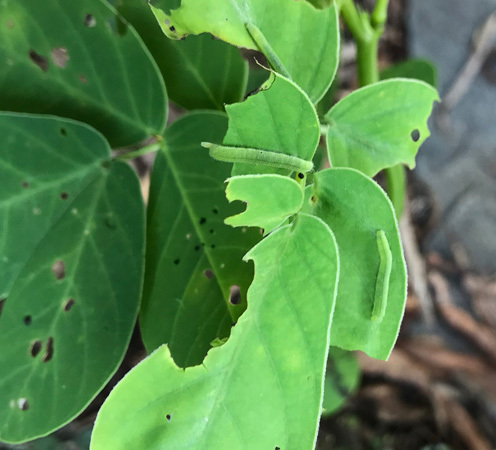 When I looked closer, I realized that although I only saw one caterpillar, there were actually three, hiding in plain sight. Previous Post We need your help this summer!